TORONTO — The number of Americans travelling to Cuba has already been growing rapidly under licensed people-to-people exchange programs and this is expected to accelerate now that the U.S. and Cuba have announced they will establish normal relations. 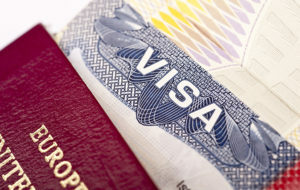 Although only Congress can lift the embargo, a new travel policy will make general licenses available for authorized travel to Cuba in 12 categories: family visits; official business of the U.S. government, foreign governments and certain intergovernmental organizations; journalistic activity; professional research and professional meetings; educational activities; religious activities; public performances, clinics, workshops, athletic and other competitions and exhibitions; support for the Cuban people; humanitarian projects; activities of private foundations or research or information materials; certain export transactions that may be considered for authorization under existing regulations and guidelines; activities of private foundations or research or educational institutes. In future, the growing number of Americans will likely make it more expensive for Canadians to visit this country which has been one of the best bargains for some four decades. According to Janine Chapman, Vice President of Marketing, Sunwing Travel Group, “Sunwing Travel Group is Cuba’s largest travel provider internationally, sending over 700,000 Canadian vacation customers per year to 10 tourism regions. As North America’s largest vertically integrated travel company, the Sunwing Travel Group is well positioned to benefit from the potential market changes that would be associated with a decision to lift the United States travel embargo to Cuba. The Group owns Atlanta-based Vacation Express, the fastest growing tour operator in the United States, as well as Blue Diamond Resorts, which already operates 11 resorts and over 6,000 rooms in its expanding Cuban portfolio which includes popular all-inclusive resort brands like Royalton Luxury Resorts, Memories Resorts and the newly introduced Starfish Resorts.